This month, the Alliance for a Healthier Generation* and Kaiser Permanente Thriving Schools** are striving to flip that script with #TeachersTAKE5, and School Nurse Organization of Washington is proud to support them. Why? Because to have healthy schools, we need healthy school employees. 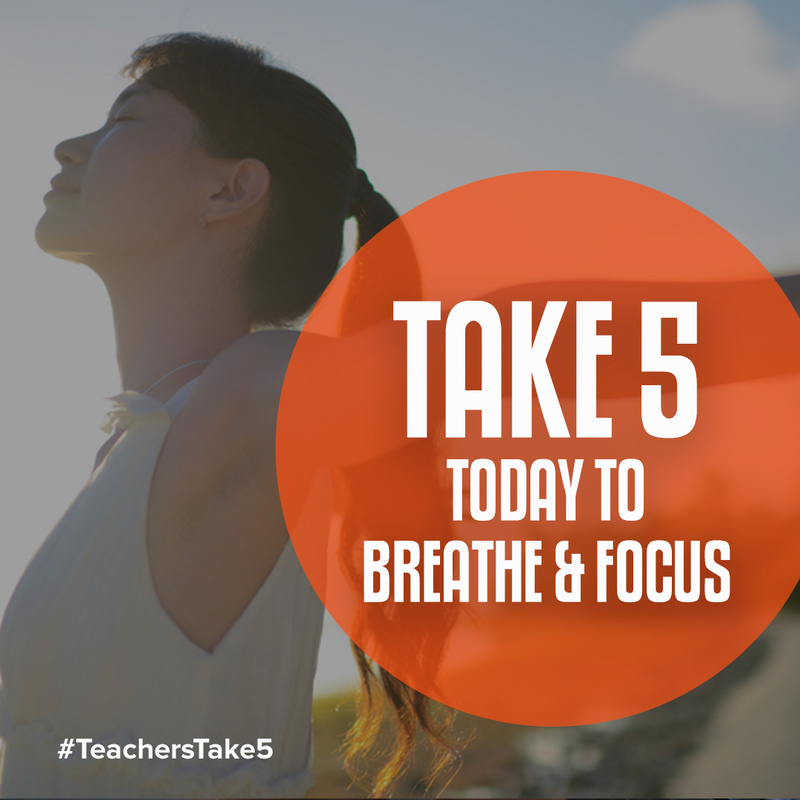 By taking just 5 minutes a day to focus on their own health, both in and out of school, educators can stay energized and reduce stress. * The Alliance for a Healthier Generation’s Healthy Schools Program provides tools and solutions to help schools create healthier environments that promote physical activity and healthy eating for students and staff. Enrollment is free and will give members access to resources, trainings, and technical assistance. Join today at TeachersTake5.org or Schools.HealthierGeneration.org. ** Kaiser Permanente Thriving Schools is a national effort dedicated to improving the health of students, staff, and teachers in K-12 schools through a focus on healthy eating, active living, school employee wellness, and social and emotional well-being.